How will webmaster come to know whether website is hit by Panda? And, if site is already hit, how to recover from Panda? Answer: You need to read UNDERSTAND and implement Google Webmaster Guideline not when site hit but before and after that happens. Improve site contents on regular basis if possible. Understanding Google Webmaster Guideline correctly – Success Factors for Implementation. Reprinted with sole purpose to remind webmasters and website owners to read Google Webmaster Guideline. Do not pay for SEO all info you every need Google provide. Our site quality algorithms are aimed at helping people find “high-quality” sites by reducing the rankings of low-quality content. The recent “Panda” change tackles the difficult task of algorithmically assessing website quality. Taking a step back, we wanted to explain some of the ideas and research that drive the development of our algorithms. Below are some questions that one could use to access the “quality” of a page or an article. These are the kinds of questions we ask ourselves as we write algorithms that attempt to assess site quality. Think of it as our take at encoding what we think our users want. Writing an algorithm to assess page or site quality is a much harder task, but we hope the questions above give some insight into how we try to write algorithms that distinguish higher-quality sites from lower-quality sites. We’ve been hearing from many of you that you want more guidance on what you can do to improve your rankings on Google, particularly if you think you’ve been impacted by the Panda update. We encourage you to keep questions like the ones above in mind as you focus on developing high-quality content rather than trying to optimize for any particular Google algorithm. One other specific piece of guidance we’ve offered is that low-quality content on some parts of a website can impact the whole site’s rankings, and thus removing low quality pages, merging or improving the content of individual shallow pages into more useful pages, or moving low quality pages to a different domain could eventually help the rankings of your higher-quality content. We’re continuing to work on additional algorithmic iterations to help webmasters operating high-quality sites get more traffic from search. As you continue to improve your sites, rather than focusing on one particular algorithmic tweak, we encourage you to ask yourself the same sorts of questions we ask when looking at the big picture. This way your site will be more likely to rank well for the long-term. In the meantime, if you have feedback, please tell us through our Webmaster Forum. We continue to monitor threads on the forum and pass site info on to the search quality team as we work on future iterations of our ranking algorithms. 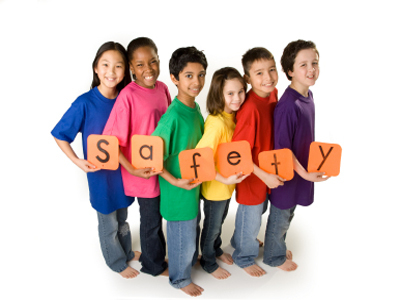 Safer Internet Day – Family safe online tips and resources. How to Keep Your Family Safe Online? • 70% of parents talk to their children about online safety at least 2-3 times a year; 45% talk to their children least once a month. • 74% of parents are connected to their children’s profiles on social networking sites. • 71% of parents have taken at least one action to manage their children’s use of the Internet or cell phones. Parents are checking to see where children are searching online, setting time limits, setting parental controls on video sites, and using filters to limit where their children go on the Web. • 71% of dads (compared to 63% of moms) say they are taking at least one action to help manage their children’s online behavior, including having conversations about respecting the privacy of others and checking their children’s privacy settings. • Fathers more often check to see what personal information can be easily found about their children by searching their names online. • 53% of dads surveyed told us they plug their children’s names into a search engine at least 2-3 times per year (compared to 38% of moms), and 33% of dads told us they search at least once a month. Watch videos of some of our parents at Google talking about how they manage their children’s safety online and read safety tips from Google. General suggestions for how to help keep your family safe online (from Google.org). Keep computers in a central place. This will make it easier to keep an eye on your children’s activities. Know where your children go online. If you have young children, you might use the Internet with them. For older children you could talk about what kinds of sites they like to visit and what isn’t appropriate for your family. You can also check where your kids have been by looking at the history in your browser menu. Another option is to use filtering tools like Google SafeSearch. 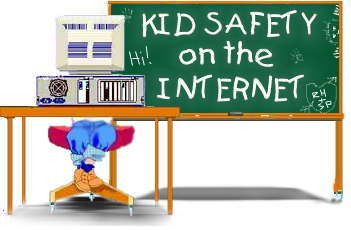 Teach Internet safety.It’s impossible to monitor your child’s online activity all the time. As they get older, they need to know how to use the Internet safely and responsibly when they’re on their own. Use privacy settings and sharing controls. Many sites that feature user-generated content, including YouTube, Blogger and social networking sites, have sharing controls that put users in charge of who sees personal blogs, photos, videos, and profiles. Using sharing controls is particularly important when you or your children share personal information such as names, addresses, or phone numbers, on public sites. Teach your children to respect the privacy of friends and family by not identifying people by name in public profiles and pictures. Steps to help protect your children’s privacy and safety when they’re using the computer. It’s a good idea to visit some sites for kids. Pay particular attention when sites collect personal information. Read the privacy statement and, if you don’t agree with it, search a little, to find a similar site that doesn’t request personal information. One of the best defenses against inappropriate content is to block it before you see it. With Microsoft software there are a few different ways you can do this. Windows Live Family Safety. This software helps you filter information based on each child’s age. You can also limit searches, block or allow certain websites, and monitor what your kids do online. Xbox parental controls. Xbox includes parental controls that help you restrict your child’s ability to play inappropriate games and watch inappropriate DVD movies. 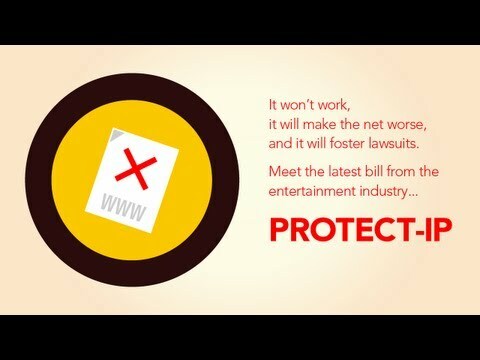 In addition to blocking inappropriate content, it’s a good idea to block sites and downloads that might be a risk to your security and privacy. Set limits on downloads. Free games, free music, animated toolbars, and other downloads can expose your computer to spyware or other unwanted software. Depending on the ages of your children, you can teach them not to download software from unknown sources on the Internet or ask your permission before they download anything. This can help to keep unwanted software off of your computer. A child might accidentally infect your computer with spyware or other unwanted software. Some popular sites for kids might try to download programs without permission. To avoid this, monitor where your kids go online. For more information, see Step 3. Use antivirus and antispyware software like Microsoft Security Essentials. Microsoft Security Essentials helps you detect, disable, or remove viruses, spyware and other potentially unwanted software. Create different user accounts. Windows 7, Windows Vista, and Windows XP allow you to create multiple user accounts for your computer. Each user logs on with a unique profile and his or her own Desktop and My Documents folder. You can give yourself an Administrator account and give your children Limited User accounts. Administrator accounts have full control over the computer. Limited Users cannot change system settings or install new hardware or software, including most games, media players, and chat programs. Adjust web browser security settings. You can help protect your child through your web browser. Internet Explorer helps you control your security and privacy preferences by allowing you to assign security levels to websites. It might not be possible to be present whenever your children are online. But it is possible to check later to see where your children have spent their time online. By reviewing the History list in Internet Explorer, you can see all the places your children visited online. To view your Internet History, click the History button on the browser toolbar. Use only a first name or nickname to identify themselves. Never disclose a phone number or address. Never send photographs of themselves. Never agree to meet someone they met online without supervision. To help protect your children from being contacted by strangers while instant messaging, configure your software to allow only approved contacts.